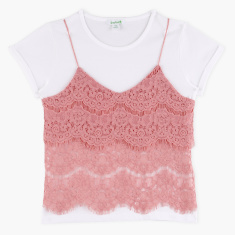 Dress your darling in this attractive set of a trendy camisole featuring lace detail and single tone simple t-shirt. 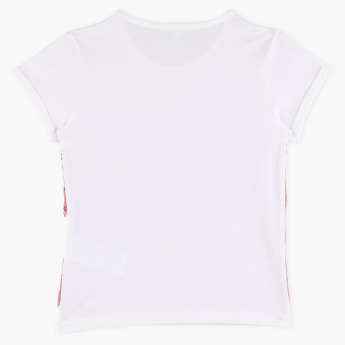 The contrasting tone of the t-shirt and camisole lend the set a classy look. Pair it with her favourite jeans for a complete look.